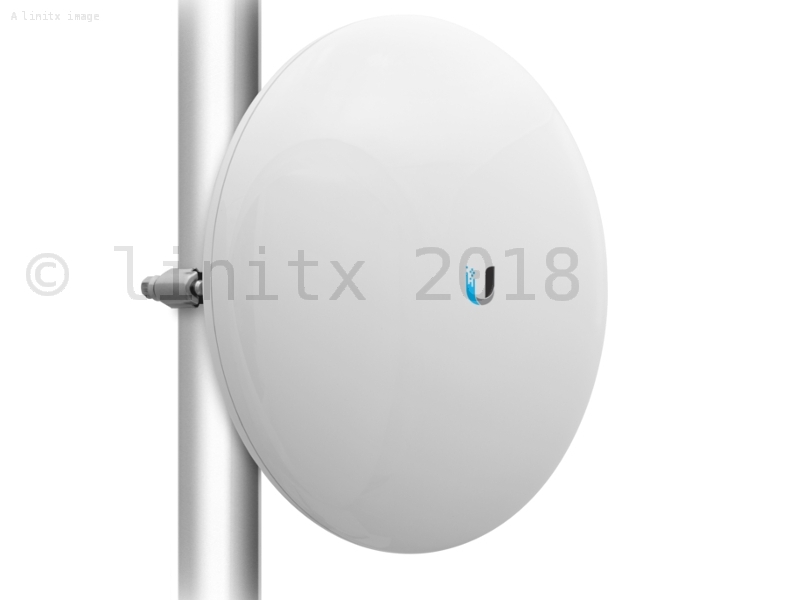 Ubiquiti's airMAX Nanobeam Gen2 (NBE-5AC-GEN2) is the latest wireless bridge in the Nanobeam range, featuring improved noise immunity for crowded RF environments, better latency, increased throughput performance, and 2.4GHz wireless management interface for easy configuration. 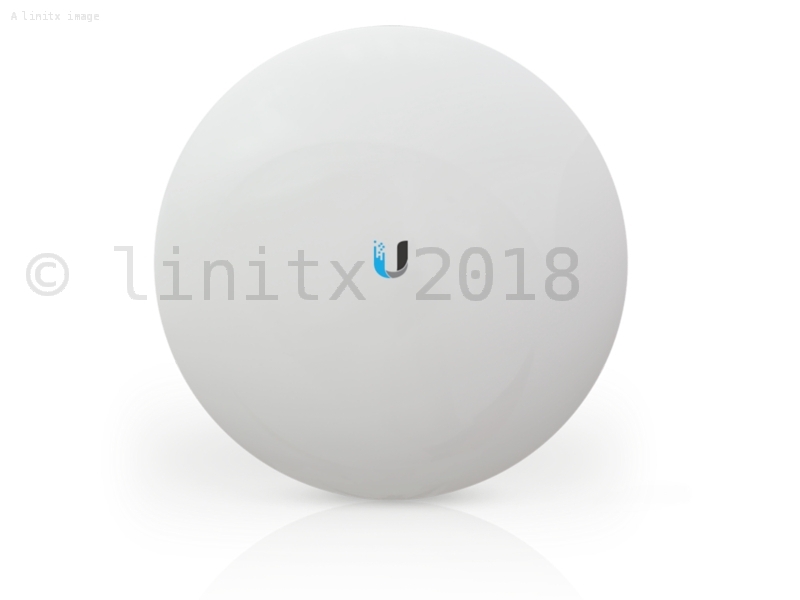 The Nanobeam (NBE-5AC-GEN2) has an integrated radio design, using Ubiquiti�s InnerFeed technology that integrates the radio into the antenna, eliminating the need for connecting cables; this innovation improves performance by removing cable losses. 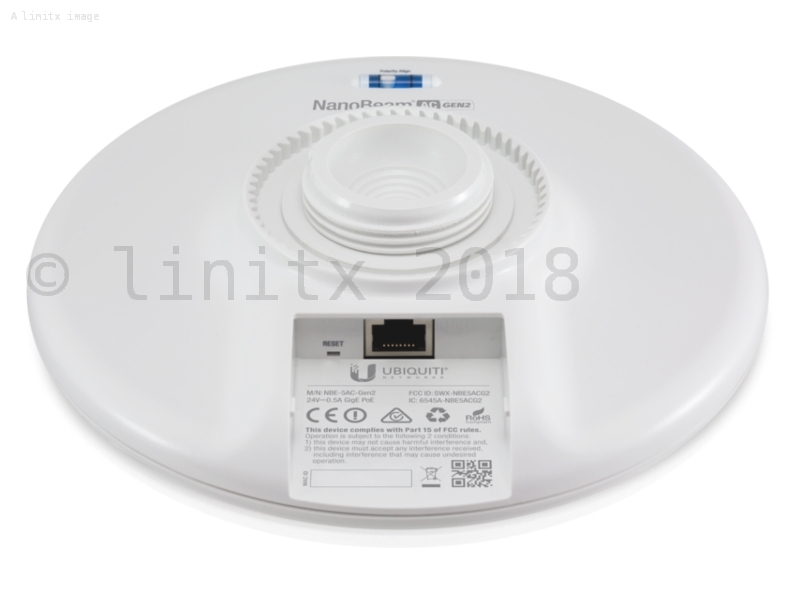 For safety and longevity this wireless bridge also features Nanobeam AC, giving you enhanced protection against ESD events. This airMAX Nanobeam is ideal for CPE deployment, offering the smallest possible footprint without compromising on maximum performance. Ubiquiti�s airMAX engine, features custom IC that will dramatically improve TDMA latency and network scalability. 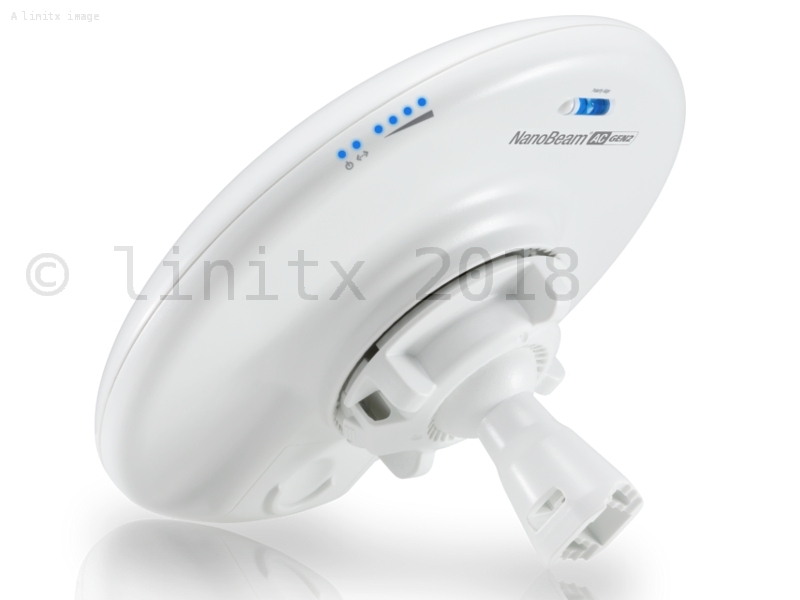 AirMAX ac technology supports high data rates and dense modulation along with custom silicon, providing hardware acceleration within the airMAX scheduler. 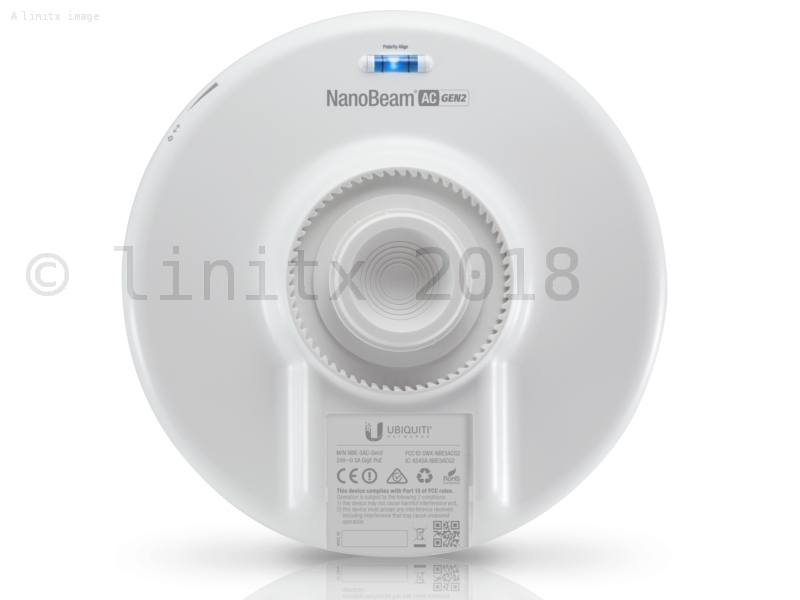 The NanoBeam AC offers simple plug and play installation, mounting to a variety of surfaces including poles or walls, offering the freedom of three-axis alignment. No additional hardware or screws are required when mounting to a pole, just a single wall screw is required for mounting on walls. The NBE-5AC-GEN2 integrates a separate wifi radio enabling you to use your mobile device for quick and easy setup. The amazing airOS software provides many powerful features, including airMAX ac protocol support, an all-new UI design for improved user experience, and real-time RF analytics for an enhanced performance overview.